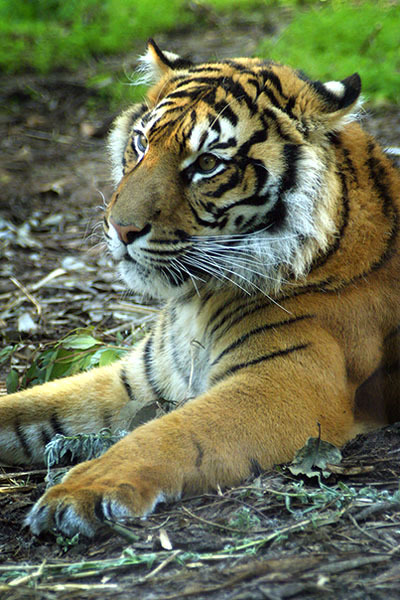 It is not suprising that tigers are high on the list of sought-after animals for poaching. After all, they are one of Earths creatures that can, and will kill you. This means they are powerful, so therefore eating their crushed bones or stewed eyeballs means you will get some of their strength?! I've always found the slogan "extinction is forever" very potent. When you kill the last one, that's it. But why are we so hung up about an (albeit) magnificent creature such as the tiger when the yellow tailed spotted mugrat is equally endangered due to overgrazing? Because people are outraged by exploitation of tigers for cultural/religious beliefs? Because yellow tailed spotted mugrats aren't big and obvious and in- your-face? Because there is no money in mugrat preservation like there is in tiger preservation?